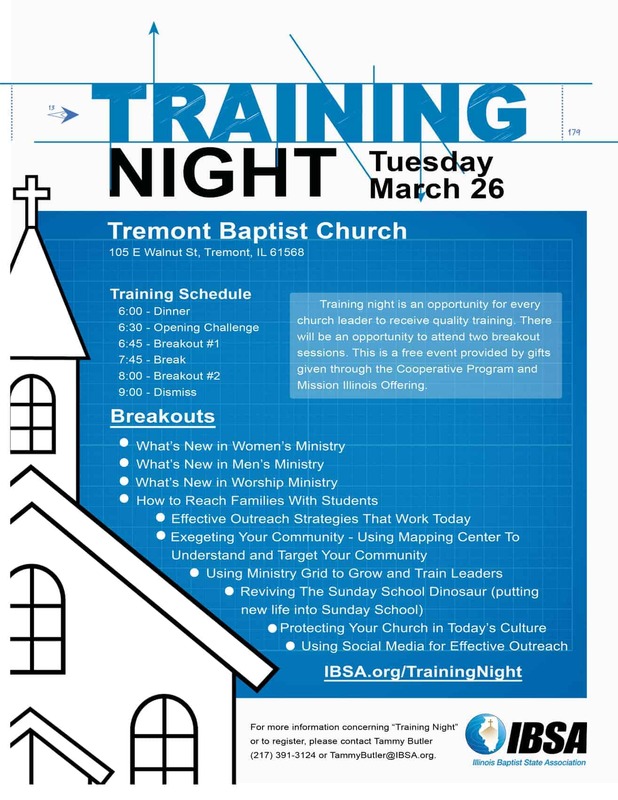 Training night is an opportunity for every church leader to receive quality training. There will be an opportunity to attend two breakout sessions. This is a free event provided by gifts given through the Cooperative Program and Mission Illinois Offering.